For the most part, I have spared you my writing on music, but every once in a while you might want to see that I know something about the topic. After all, I had a whole career as a music critic and founder of the All-Music Guide (allmusic.com), the largest collection of albums, tracks, biographies, and discographies on the planet. Here is a short excerpt from an extended essay I wrote called "Groove and Blues in Jazz." It was written for blues lovers who have trouble getting into jazz. This piece was also included in the biography of the great jazz guitarist Grant Green, titled "Grant Green: Rediscovering the Forgotten Genius of Jazz Guitar." The cover of that book is shown above. "All that I can say about Grant Green is that he is the groove master. Numero uno. He is so deep in the groove that most people have no idea what’s up with him. Players like Stanley Turrentine, Jimmy Smith, Kenny Burrell, and many other really great soul-jazz artists are also groove masters. 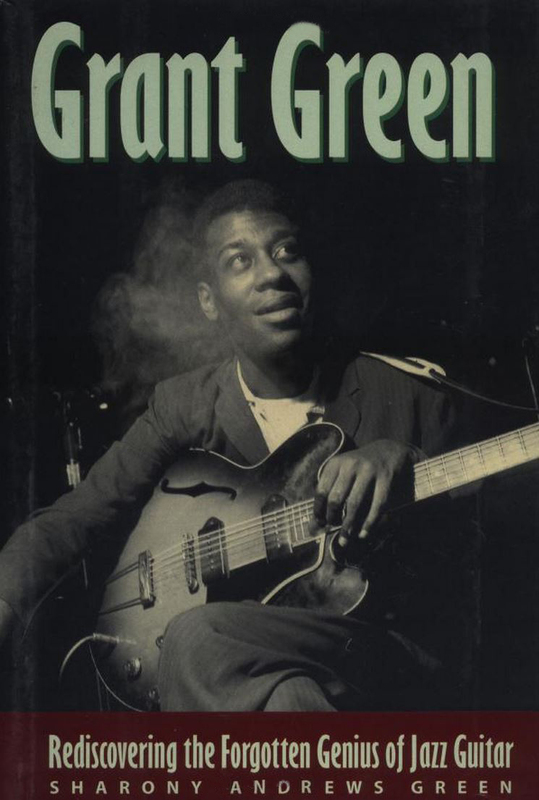 But the main man is Grant Green. He is so far in the groove that it will take decades for us to bring him out in full. He is just starting to be discovered. To get your attention and make clear that I am saying something here, consider the singing voice of Bob Dylan. A lot of people say the guy can’t sing. But it’s not that simple. He is singing. The problem is that he is singing so far in the future that we can’t yet hear the music. Other artists can sing his tunes and we can hear that all right. Given enough time… enough years… that gravel-like voice will sound as sweet to our ears as any velvet-toned singer. Dylan’s voice is all about microtones and inflection. For now that voice is hidden from our ears in time so tight that there is no room (no time) yet to hear it. Some folks can hear it now. I, for one, can hear the music in his voice. I know many of you can too. Someday everyone will be able to hear it, because the mind will unfold itself until even Dylan’s voice is exposed for just what it is -- a pure music. But by then our idea of music will also have changed. Rap is changing it even now. Billy Holiday is another voice that is filled with microtones that emerge through time like an ever-blooming flower. You (or I) can’t hear the end or root of her singing, not yet anyway. As we try to listen to Holiday (as we try to grasp that voice), we are knocked out by the deep information there. We try to absorb it and before we can get a handle on her voice (if we dare listen!) she entrances us in a delightful dream-like groove and we are lost to criticism. Instead we groove on and reflect about this other dream that we have called life. All great musicians do this to us. Grant Green’s playing at its best is like this too. It is so recursive that instead of taking the obvious outs we are used to hearing, Green instead chooses to reinvest -- to go in farther and deepen the groove. He opens up a groove and then opens up a groove and then opens a groove, and so on. He never stops. Grant Green opens a groove and then works to widen that groove until we can see into the music, see through the music into ourselves. He puts everything back into the groove that he might otherwise get out of it. He knows that the groove is the thing and that time will see him out and his music will live long. That is what grooves are about and why Grant Green is the groove master." Note: If some of you want to read my complete article on where you can find groove and blues in jazz music, here is the link. It was written years ago, but is mostly still accurate.